This blog contains updates and relevant news regarding any updates I make to my projects and Unity related news in general. Tiger's Maze is a casual tilt game where you have to guide the ball to an exit and avoid the enemies being a group of cat's who want to spoil the fun. They will chase after the ball and push it over. The game contains 8 levels for the time being. Below are screenshots of the game on a high-end Android device. As New Horizons made a successful journey and reached the furthest object man has reached; Pluto. There has been a great deal of space hype, both within the scientific community and outside in the main stream media. With this excitement in mind I had a chance to interview Lars Islander, developer behind Exodus. Exodus is a space colonization game that contains elements of exploration, empire building and base building. 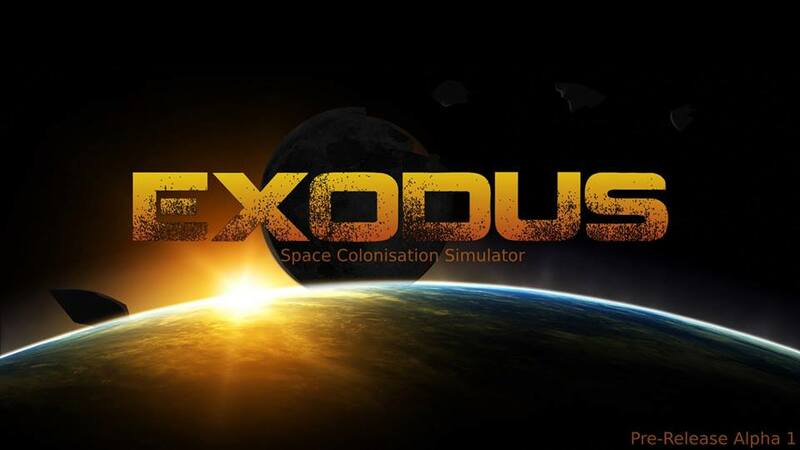 In Exodus Players will be able to play in single player and and in multiplayer online. Exodus is something I came across when I joined the Facebook group. From there I saw some of the games exciting and interesting ideas behind the project. Indie space games are not unheard of and in fact alot of really impressive games have been developed in recent times. Many big studios have made an attempt at the sci-fi genre but many have disappeared with a few that stapled there success and dominated the genre. Lars Islander is the developer behind Exodus, an ambitious and exciting game that is looking to be great sci-fi experience. I myself joined the project to work on the sound design, if you are interested check out my SoundCloud. However to get the core details of the game, Lars filled me in with a detailed look on what we can expect in terms of game-play. JM: Good-afternoon Lars, thanks for giving me the time to ask you some questions regarding Exodus. Could you tell us a bit about your background and when did you decide you wanted to develop video games? Lars: Good-afternoon and no problem, I used to work for a documentary production company as a 3D modeller and compositor, and spent all my free time (and some of my work time) making games. I started out making them with Java, then progressed to using Microsoft XNA. Eventually I realized that I did not want to do the job any more, and I was hitting the limit of what I could do with my games without learning. I returned to University to study Games & Entertainment Systems Software Engineering. After graduating I ended up working for a robotics company for 3 years, and only recently took a year out of full-time work to spend more time with my games. JM: For those who don’t know, what is Exodus and where is it in our universe? Lars: Exodus takes place in an alternate history, where a massive comet impacts the moon in the late 1980's. The environmental damage is extreme, and Earth will take thousands of years to recover. The player starts out as director of a small commercial space company, with a single interplanetary ship and some resources to their name. From there it's up to them how they explore, trade, build and fight. The game-play of Exodus is a blend of exploration, empire building and base building. Players can play alone, or work with (or compete against) their friends. Early sketches of different ship designs and configurations. Map view with Earth selected. JM: It’s always difficult to work on such a large project for Indie developers, how do you aim to tackle the project complexity and scale? 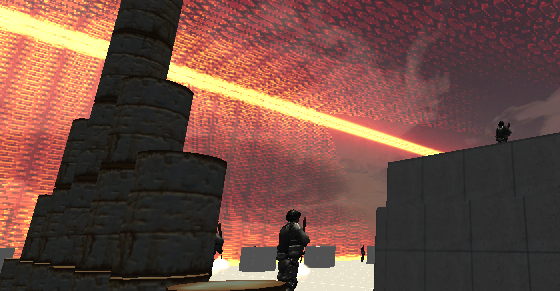 Lars: Presently I'm the only developer on the team, with Junaid providing background music and audio assets. Depending on funding after the alpha demo, I expect to being at-least another Programmer, a 3D Artist and an Audio Composer to speed things up. I've worked on small distributed teams in the past, and I think some simple tools are a must-have. You need a task manager, Outlook works great for this, but there are tones of other options out there such as BitBucket, which has a nice issue tracker and task allocation stuff built into it's Git hosting. Skype works great, and with a small team frequent scheduled meetings are a must. I've used SCRUM in the past, which works well for smaller teams (5-10) who are able to get together for half an hour at the beginning of every work-day to review each others progress and prioritize tasks. JM: Are you thinking of using kick-starter to fund the project? Lars: I'm currently looking at a few different funding ideas, Kick-starter is one of them. JM: Where do you look to for inspiration when your developing Exodus? Lars: Exodus was spawned from my love (possibly obsession) of the 1990's MMORTS Mankind, which for the time was pretty amazing. 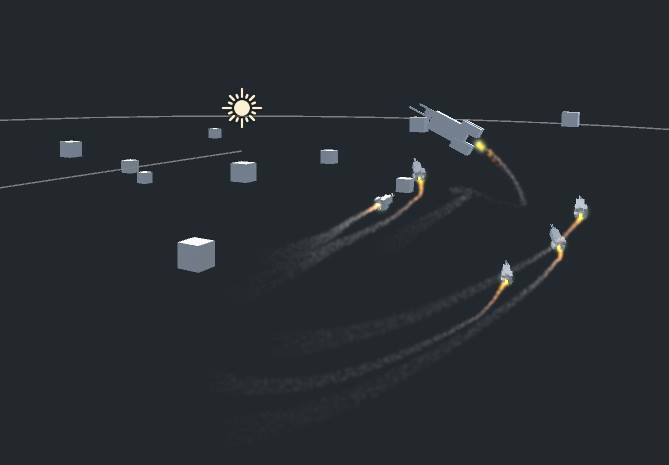 No-one ever made a game with a similar blend of fleet combat, colony building and empire management, so ever since Mankind closed its servers, the ideas behind Exodus have been floating around in my mind. Other influences come from Imperium Galactica. 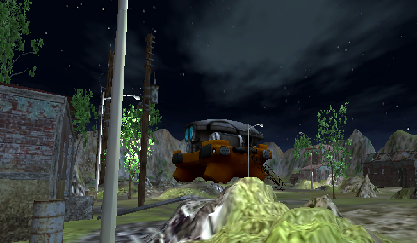 I loved the base building side of that, although through the lens of modern games it's quite simplistic. And those FMV movies. Priceless. If you are feeling nostalgic, I highly recommend checking this project out https://github.com/akarnokd/open-ig Homeworld is an absolute classic. If players feel as sad and shocked by the state of Earth when they first see it in Exodus as I felt when Karack burned in Homeworld, I'll add a star to my success chart. 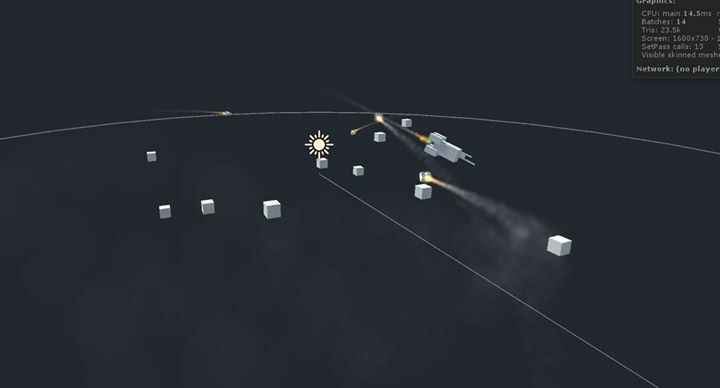 More recently (in gaming history), Kerbal Space Program has a great construction system, and Nexus, the Jupiter Incident has nice fleet combat, although in places it's a bit on-rails. I started thinking about Exodus about 8 years ago now, and since then it's been a big melting pot of 'what if?' and 'how would that bit work?' which gets added to whenever I watch a film or play a game. Maybe the hardest part of the design job was cutting back years of ideas and notes into a job that was even remotely startable. 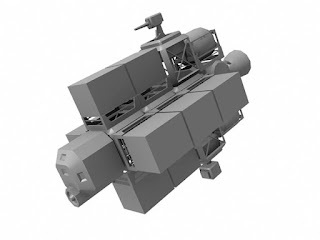 3D model of a ship component with a turret. 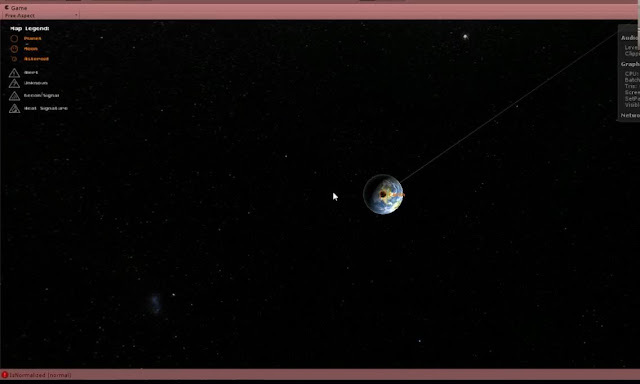 JM: One thing that I love about space sims is the combat, are players forced into combat? And something that is perhaps central to games of this type is choice, how much choice will players have? Lars: Players will encounter hostile NPC characters for PvE in certain parts of the solar system, where they can go seeking bounties or richer resources. PvP combat is going to be tied into the game's mission system, where players can sign up for PvP missions which will bring them into direct, guns blazing conflict with other players. However, a lot of the 'combat' in Exodus will be more indirect, for example corporate espionage or head-hunting someone's star NPC character. JM: What has been the most difficult part of development so far and how have you overcome it? Lars: So far the main difficulty I've had has been finding the time to work on the game. I'm self employed, and it's hard to schedule things around paying work. I tent to allocate a few days each week where my main focus is the game, unless anything high-priority turns up. 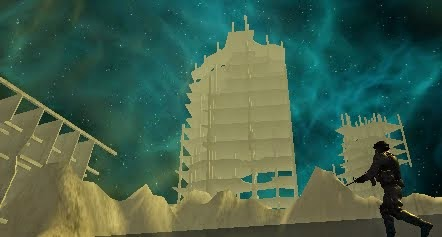 Player has an interactive screen to create and design ships. Player's will be able to create hundreds of different designs with many different options. 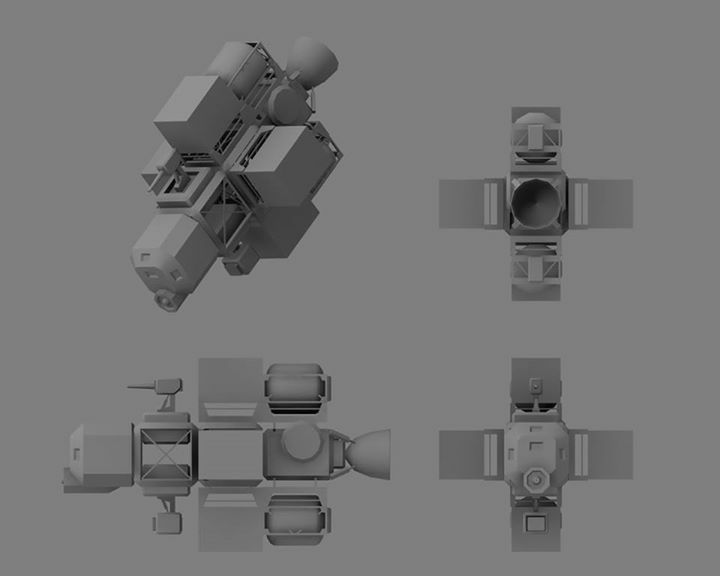 Ship designs can be saved and loaded, a player can choose to sell or trade ships for in game currency. JM: How important is the community feedback at this stage and does help shape aspects of the game? Lars: Feedback from the community is very important and all stages of development. Currently, in early development, feedback from other developers has helped the development a lot, ranging from advice, help fixing things and just encouragement. Player feedback even at this early stage has been really valuable. 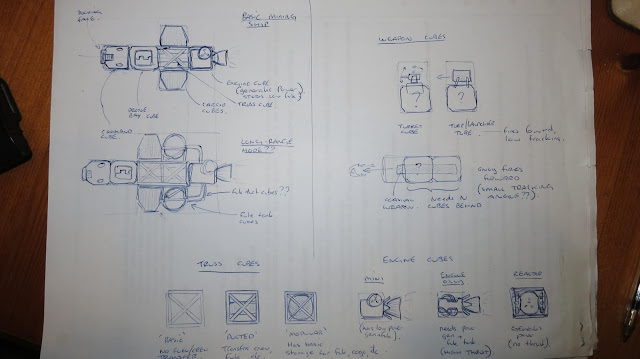 I work with a small group of play-testers from different backgrounds, and we frequently meet up to discuss game-play ideas, and test them out 'on paper' before they are actually implemented in-game. The value of community feedback is that something might look great to me as the developer, but other people might not 'get it', or have ideas for improvements that I cant see. JM: When do you plan to launch the alpha and how can gamers participate? Lars: The alpha will hopefully be coming towards the end of this year. You can join the Facebook group for updates. By participating in the alpha and providing feedback, you will be assisting with development, allowing Exodus to become better, with the features people want. JM: What consoles do you eventually intend to have Exodus released on? Lars: Exodus will be a PC game, and there are plans to have a tablet based companion app or management tool, which players can use to check in on their empire, change orders for their NPC characters, and chat with other players. 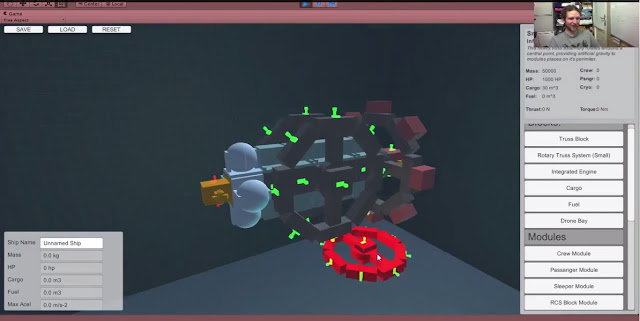 Early testing of ship mechanics. Players will be able to control multiple fleet of ships. Lonely Pluto, with backdrop of center of the Milky way. JM: Can you tell us about some of the core game mechanics? Lars: Players take control of a commercial space company, who are employed under contract of one of the world's super powers to support the evacuation of Earth. Players can explore the Solar System, founding colonies and outposts on asteroids and planets. These colonies are the core of the player's empire, providing resources and production. The game operates in a persistent universe. 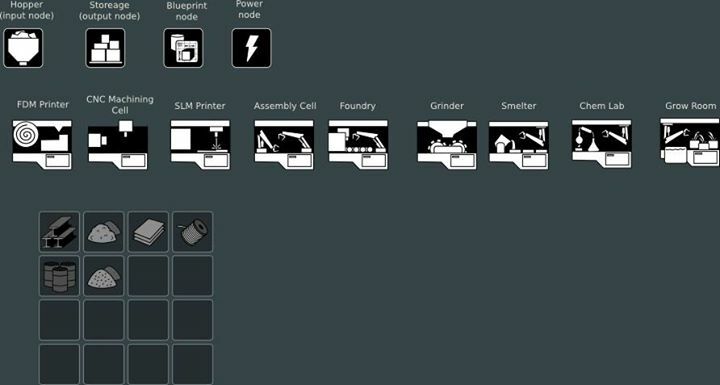 The player can assign jobs to their employees, set up production facilities to process resources,and all these jobs are executed in real time, even while the player is offline. Mining ships collect resources, traders ply trade routs between the colonies, and defensive fleets patrol, protecting the companies assets. Multi-player game play will include a multi-player focused mission system, where players collaborate on different aspects of a larger over-arching mission. 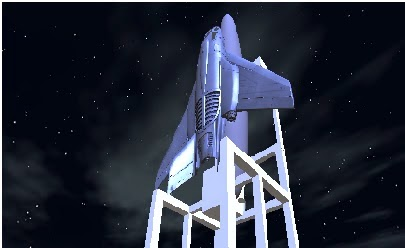 All the missions are tied into the narrative of the game, with the total progress of all the players contributing to the evacuation effort and the fate of Humanity. 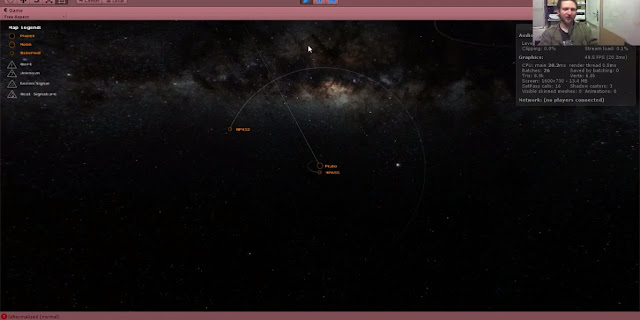 Early interface with view of various celestial objects. 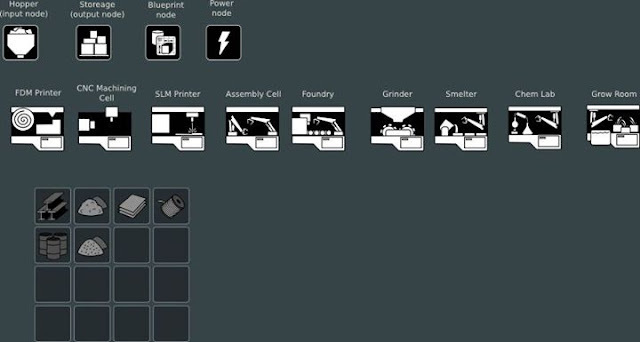 Sketch of icons for items and a design of the crafting system. 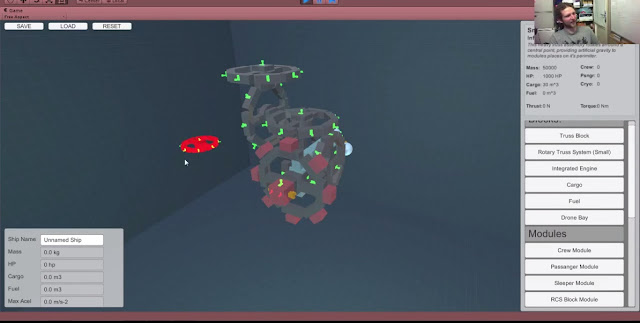 Enemy AI system in red with player ships in green. JM: Where can people reach you at? Lars: There's a Facebook group here https://www.facebook.com/groups/1391943327793002/ which you can join to get updates. As things develop closer to the public Alpha, I will be setting up a website for the game where you will be able to sign up. JM: Do you have any advice for aspiring or young game developers? Lars: Don't start out expecting to make your dream game right away. I know that sounds a bit of a bummer, but you need to understand how things work – and even more importantly how YOU work - before creating your Magnum Opus. I would definitely recommend going to university to study game development, particularly Software Engineering, which focuses on the project management processes, tools and skills you will need to develop ANY piece of software. University projects are also great for honing your game development skills, the group-work projects in particular, where you will need to organize a team, discover each-others strengths and weaknesses and understand how to use them to maximize your output as a group. 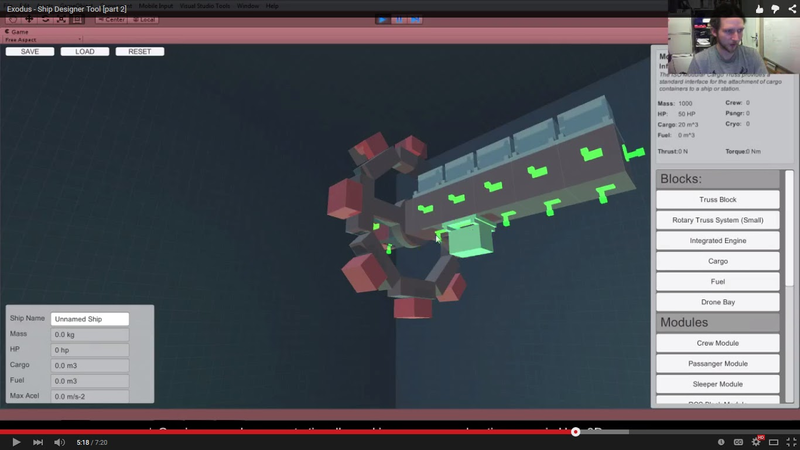 Programming, 3D modeling and such are actually a very small part of it. Don't expect to win right away, but don't resign yourself to fail and give up. Mistakes or failures are not bad things! Learn from them and do better next time. JM: OK final question before we end, if you had to convince someone to check out Exodus, what would you say to them? • you like designing spacecraft and exploring the solar system in Kerbal Space Program, but want more puzzle game-play like Infinifactory. Seriously, though, drop by the Facebook group, and when the time comes, join us for the Alpha demo. If you enjoyed reading this post, please leave like, comment or share. Thank you and bye for now! 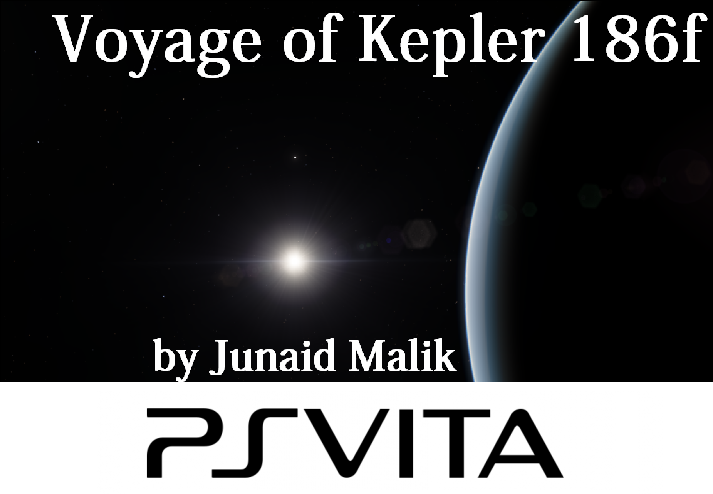 Voyage Of Kepler 186f is out now for the PS Vita. Download now and share with your friends ! Voyage of Kepler is a simple first person shooter / adventure game where you play as Jonathan Parker a NASA astronaut who is sent on a mission to an exoplanet to ensure survival of the human race. As Earth is all but dried up of its resources from years of human transformation and increased Co2 emissions it has become a dying rock with its time ticking away. So your mission simple seek Earths twin, but not all is as it seems. Click on the above link from a PS Vita to download. It has been a long long time coming but after much delays 'Voyage of Kepler 186f' will be available on the PSM store to download. The game has been approved and is in preparation to be released! The game will be available in all territories US, Europe and Asia. Voyage of Kepler is a first person shooter / adventure game where you play as Jonathan Parker a NASA astronaut who is sent on a mission to an exoplanet to ensure survival of the human race. As Earth is all but dried up of its resources from years of human transformation and increased Co2 emissions it has become a dying rock with its time ticking away. So your mission simple seek Earths twin, but not all is as it seems. So why the long delay? 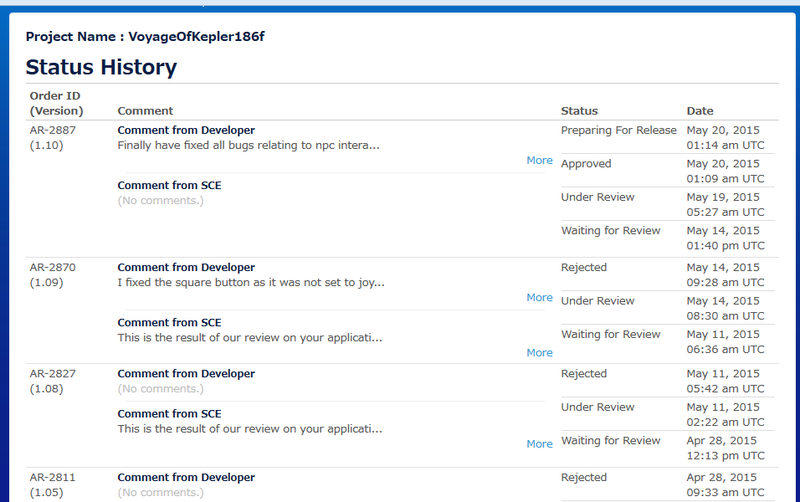 In the screenshot below in the status history, we can see the submissions I had sent along with the responses from the PSM QA team. Initial version 1.0 all the way up to version 1.10. Due various in game bugs that I had missed during my own testing sessions, the QA team kept rejecting the application due to various bugs from poor programming practices like invoking and creating unused objects to simply forgetting to change the config controls from PC to Vita controls..well the experts do say "never test your own software". In all what did it take to get the game to be released on the Vita? 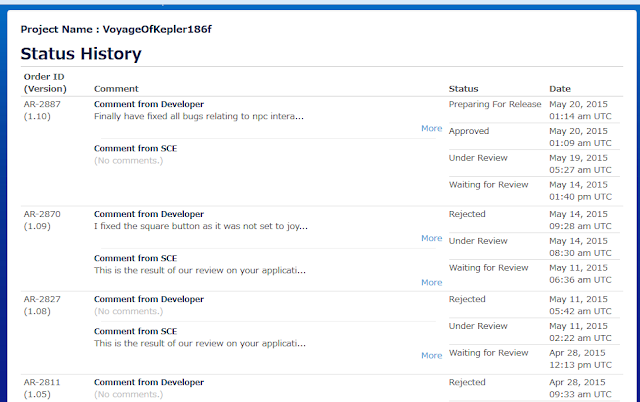 Oh only about 5 resubmissions and around 11 months of work on and off from sound design to making 3D models to designing levels, scripting, integration of different components and most important of all being persistently committed towards competing the project. But wait you may ask, "Junaid that's very nice but I don't have a PS Vita so how can I play the game?" don't just turn back yet.. 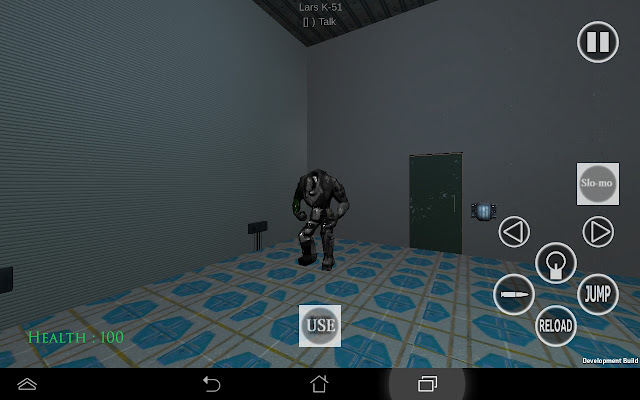 Yes Android!, I am currently also porting the game to the Android platform mainly for tablet devices as the screen size is much better with the control scheme. Below is an early look at the game running on my tablet with a virtual control scheme. Whats the difference between the two versions? The Vita version is the perhaps the better version due to the fact that it has physical controls like a regular controller with R1, L1 and analog sticks. On the other hand the Android version has touch controls which can get a little getting used to. However the Android version will be out much sooner perhaps in two weeks time. Thank you for taking the time to read this, leave a comment, like or share with your friends and if you if you have a Vita check the game out ! Voyage of Kepler186f (old title of zombie survival) Final Update! Hi, this is my final update of for my project, which I had previously titled as "Zombie Survival". I have renamed it "Voyage of Kepler186f" as it better reflects the story of the game. I had been working on this game for about 11 months and only last week did I complete and sent it for review by the Sony PSM Team. Version 1.0 rejected as I had mentioned Sony without (R) after there name. The Kepler Space Telescope as you may or may not know is a telescope used by NASA to detect other planets (exoplanets) that bear earth like properties and features to determine existence of life outside our solar system. So far this search has returned a large number of potential earth like planets and Kepler186f happens to be one of them. So how does this relate to the game? Well the games overall direction from just 'Zombie Hunting' has been changed to a direction where we explore such a planet and imaging of what it may behold and ofcourse still 'fight zombies' and other baddies. 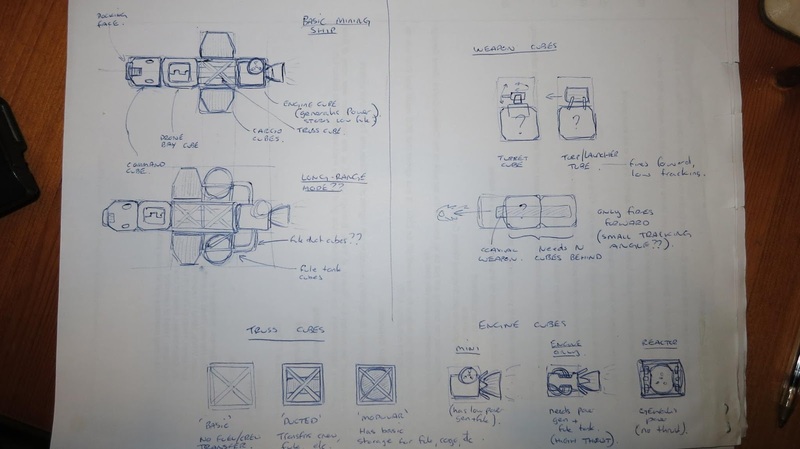 Initially what I had in mind was a simple first person survival game, but my vision came closer to what I really had in mind through more experience I felt it was possible to create a more improved project than a simple survival game. Kepler is a star system 400 light years away with one light year being about 9.4605284 × 1012 kilometers with 400 Ly being 3.78421136 × 1015 kilometers..
You play as commander John Parker who is sent on a mission to Kepler 186f as Earth is all but close to ruin with. This is the basic premise to what the player must discover ofcourse not all as it seems.. 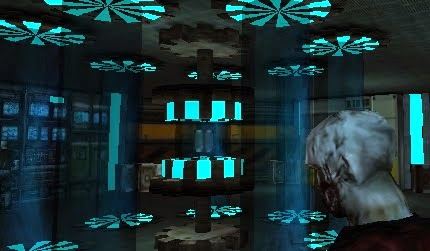 The game contains 10 levels in the single player and 5 levels in bonus survival mode. It has a interactive dialogue system to interact with NPC's and a visual novel style of story sequences. The game will be available soon for the PS Vita through the PlayStation Mobile store and is currently under review. When the game becomes available I will post an update. Below are some screenshots of the game. If you like this post share, like and leave any comments! Bye for now and see you next time! If you enjoy this blog check out my other blogs.